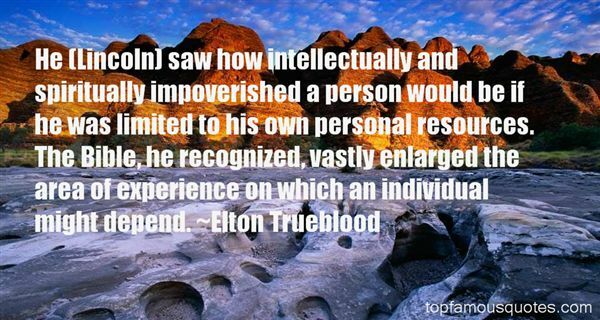 Reading and share top 28 Elton Trueblood famous quotes and sayings. 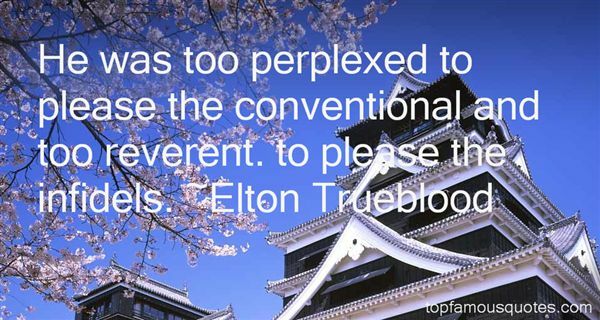 Browse top 28 most favorite famous quotes and sayings by Elton Trueblood. Style is the answer to everything.A fresh way to approach a dull or dangerous thingTo do a dull thing with style is preferable to doing a dangerous thing without itTo do a dangerous thing with style is what I call artBullfighting can be an artBoxing can be an artLoving can be an artOpening a can of sardines can be an artNot many have styleNot many can keep styleI have seen dogs with more style than men,although not many dogs have style.Cats have it with abundance.When Hemingway put his brains to the wall with a shotgun,that was style.Or sometimes people give you styleJoan of Arc had styleJohn the BaptistJesusSocratesCaesarGarcía Lorca.I have met men in jail with style.I have met more men in jail with style than men out of jail.Style is the difference, a way of doing, a way of being done.Six herons standing quietly in a pool of water,or you, naked, walking out of the bathroom without seeing me." 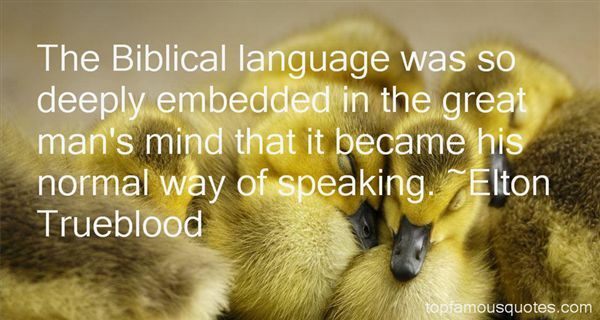 What Did Elton Trueblood Talk About?